‘Tis the season… to start thinking and planning for the holidays! To discover some of the best must-haves for the upcoming season of cheer, I attended Babbleboxx’s Holiday Showcase last week. From accessories to seasonal sips, there were a ton of brands showing why they’d make the perfect addition to an upcoming soiree or friends’ gift bags. There was one brand I was particularly excited to see, and you won’t be surprised by it. 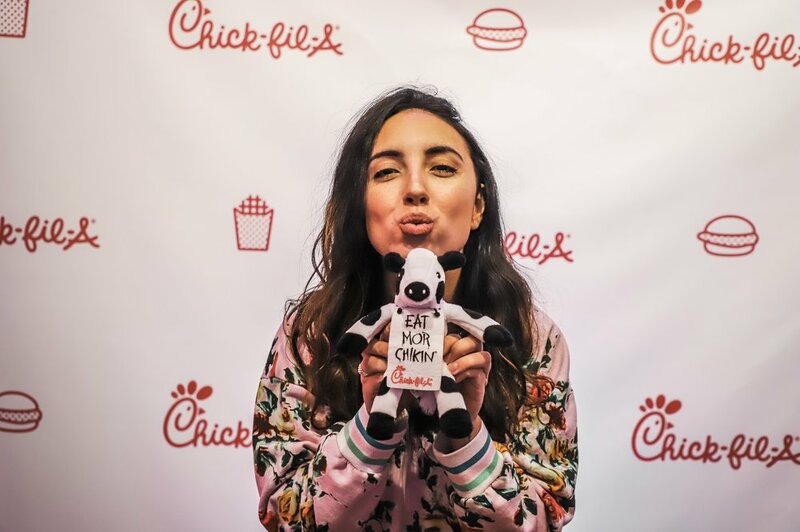 Upon walking into the event, I was excited to chase a familiar scent of one of my favorite restaurants: Chick-fil-A! 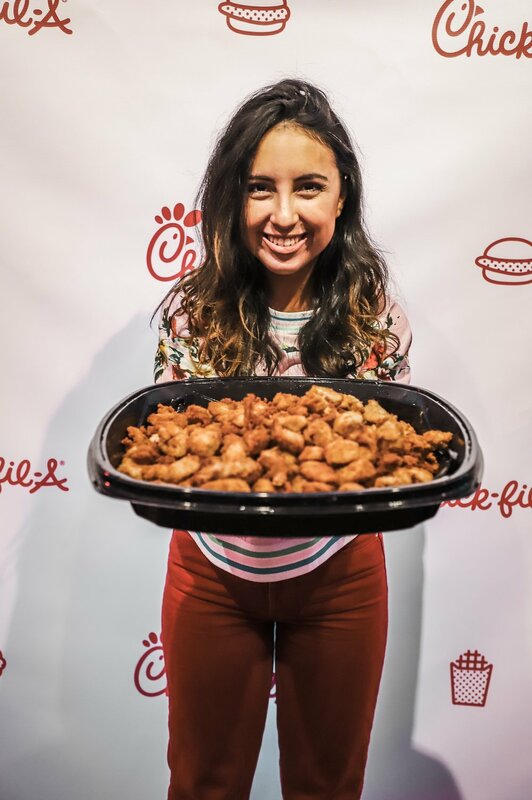 A tower of Chick-n-Minis, a delicious sampler of their side dishes, and refreshing iced tea brought so much joy to that night. Now, imagine recreating that same feeling for your guests this holiday season. That’s what Chick-fil-A was there to convince us of. And convince me they did. Their catering menu is both delicious and an easy way to make an impression at home during a holiday get-together. Snag a tray of nuggets for fanatics of the original, grilled chicken cool wraps or fruit trays for those looking for something light, and don’t forget delicious dessert like their melt in your mouth chocolate chunk cookies. 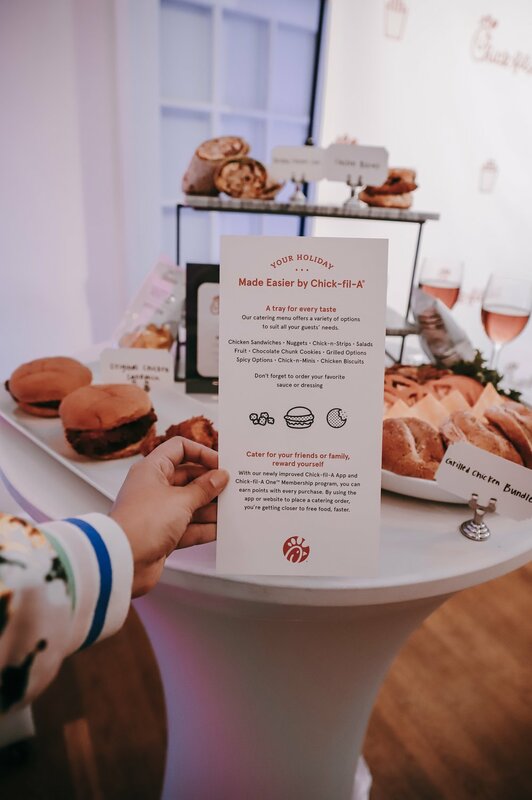 Ordering your catering online or on the Chick-fil-A mobile app is quick and easy. But, if you’re craving a fix during your planning session, there are currently six (!!) Chick-fil-A restaurants in New York City, including four in Manhattan, one in Queens, and one in Staten Island Mall. So, what are you waiting for? Start making a list of invitees and menu selections for your next soiree. You’ll have zero regrets! Disclaimer: This post was sponsored by Babbleboxx.com on behalf of Chick-fil-A, but all opinions are my own.